A 50th birthday is an even bigger milestone than the 17th hole at Sawgrass. 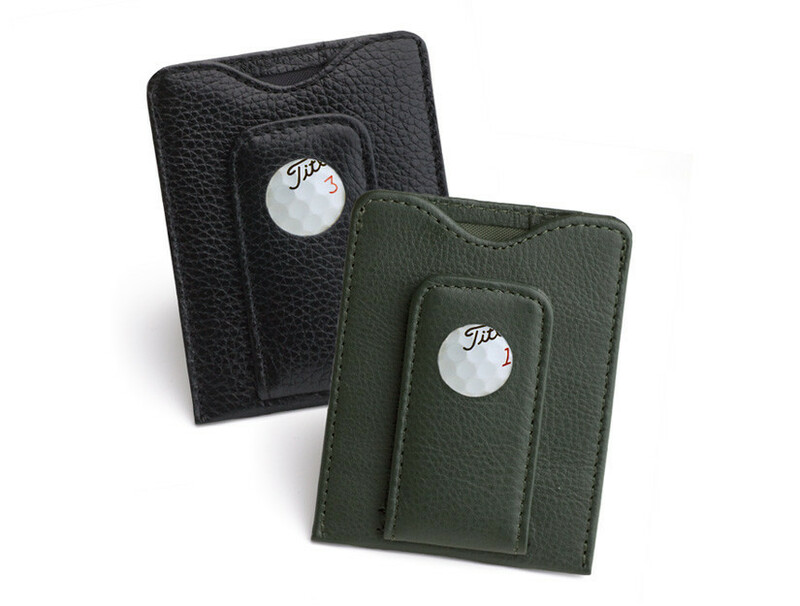 Celebrate it with this wallet, crafted from an authentic ball recovered from the water surrounding the 17th Hole Island Green at the famous course in Florida. The wallet is top quality pebble grain cow leather with a polyester lining. Slim and light-weight with 2 card slots and an inner pocket on the back, and a magnetic money clip on the front. 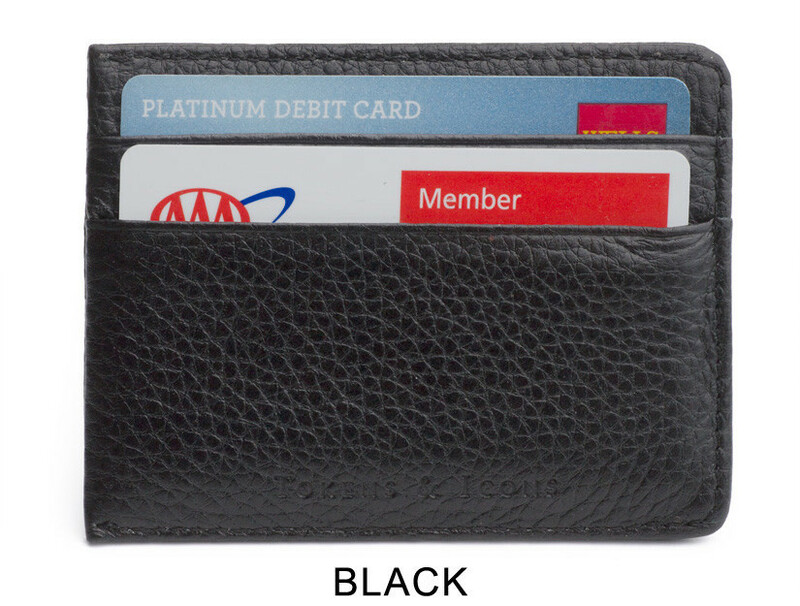 A metal plate is sewn into the wallet to protect magnetic cards. 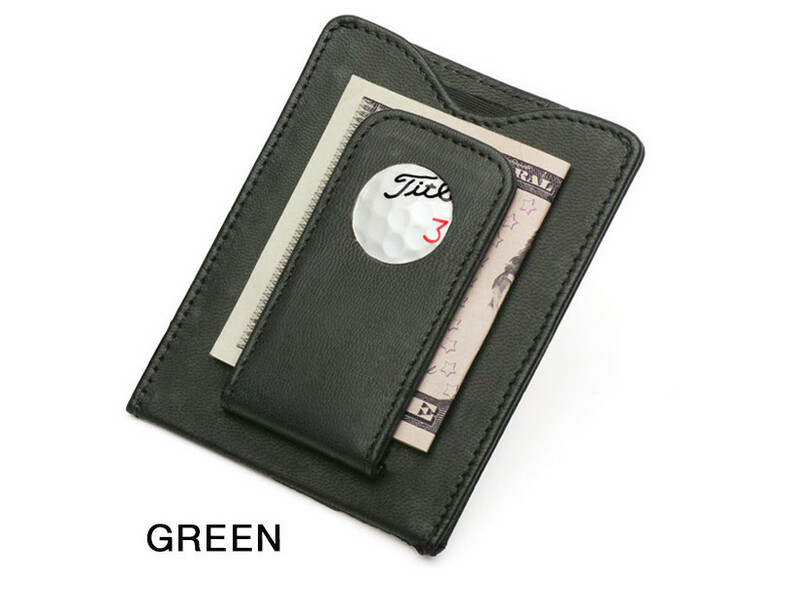 Officially licensed by the PGA TOUR, a tamper-evident hologram sticker is adhered to each wallet to ensure authenticity. 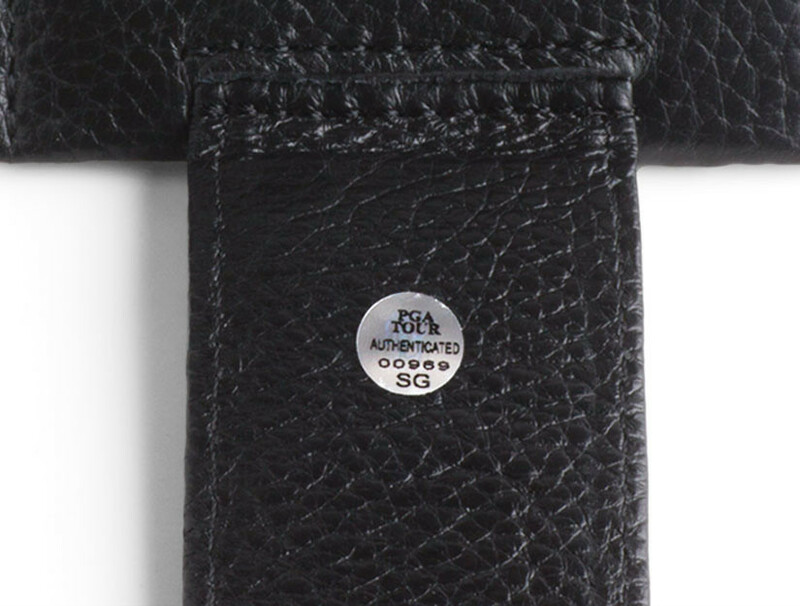 The wallet measures 3" x 3-7/8" and comes gift-boxed with an authentication card.